The holiday season is in full force, and nothing spreads Christmas cheer faster than a personal visit with Santa. On the weekend of December 6 and 7, celebrate this season at Flower Hill Promenade's festive Weekend With Santa event. 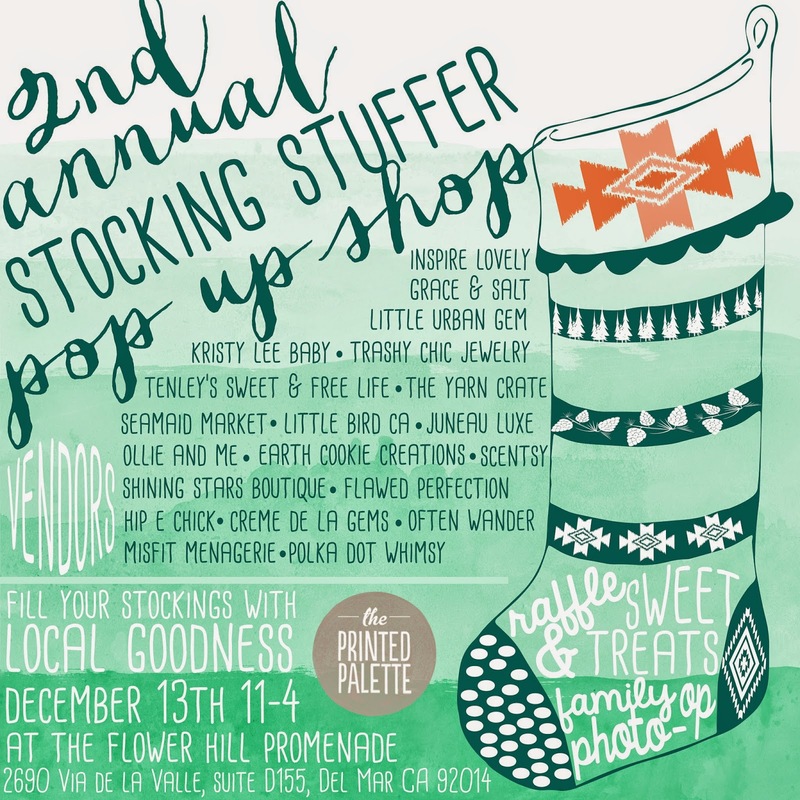 Then on Saturday, December 13, from 11am - 4pm, Flower Hill Promenade will host a festive Stocking Stuffer Pop-Up Shop in the outdoor courtyard in The ROW Collective, a curated section of the center that houses various local, unique and one-of-a-kind shops. While you're there, be sure to check out Flower Hill's new tenant - The Printed Palette. Read on for all the details. On December 6 & 7, children can enjoy a very merry “Santa” kids breakfast meal, hosted by Sea & Smoke from 8:30-11:30am, followed by special holiday activities in the center that will include do-it-yourself crafts, holiday treats and of course, photos with jolly Old St. Nick. During the children’s activity time, parents can indulge in a little treat of their own, with complimentary chair massages provided by Spa Blue. The following weekend, on December 13, join Flower Hill tenants, newly-opened The Printed Palette and Grace & Salt, along with almost 20 other outside vendors to fill your stockings with local goodies while enjoying sweet treats, raffle prizes and family photo opportunities. The Printed Palette offers super chic and unique mens and womens apparel, home goods, accessories, quality premium printed goods and home decor, all with a vintage flare. Business partners and soon-to-be married Kurt and Alissa, put their creative minds together to create 'wow-filled' experiences with designs to inspire. Their design approach takes simple shapes and blends them with vintage twists or thought-provoking words. They only use water-based inks free of harmful chemicals to create high quality products in both look and feel. The Printed Palette also offers baby and kids clothes for stylish babies. 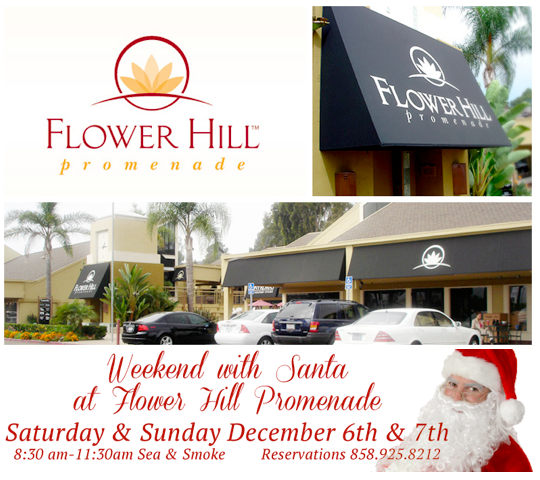 Flower Hill Promenade is located at 2720 Via De La Valle in Del Mar. For more information, visit flowerhill.com.